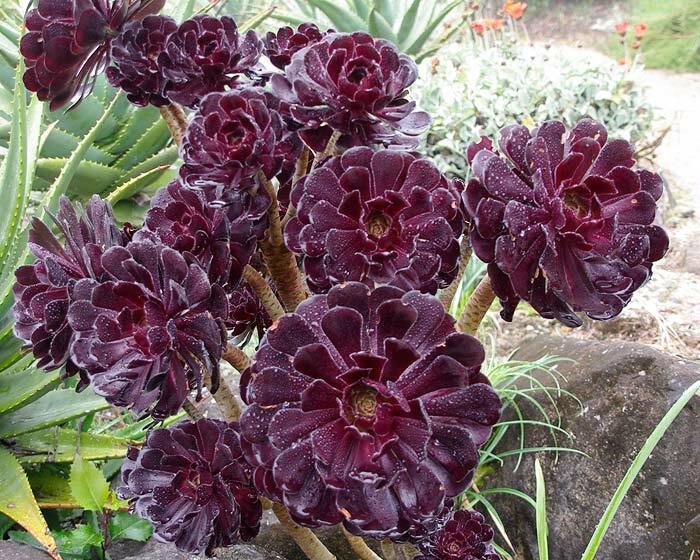 Aeonium arboreum or the Tree Anemone is an attractive succulent that can be grown indoors or outside. It has numerous fleshy branches, each bearing a rosette of light green succulent leaves at its end. 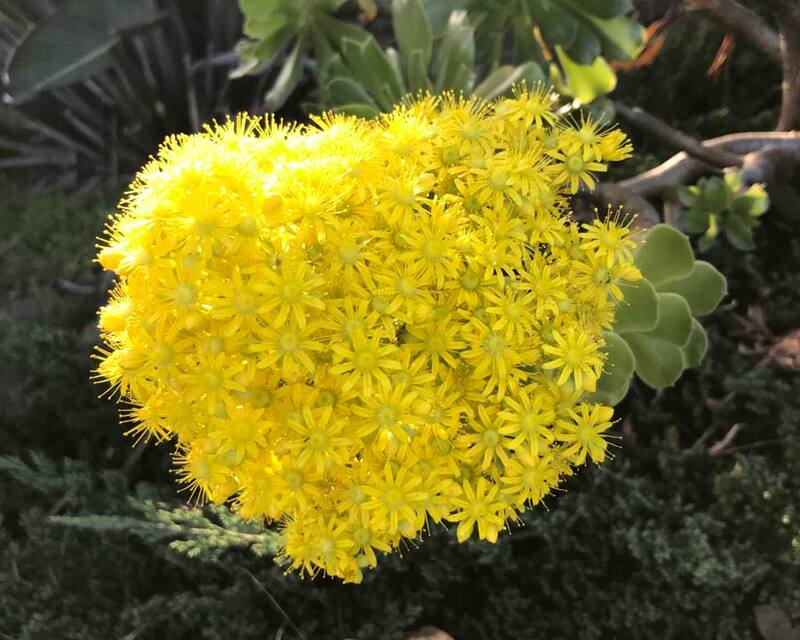 Spikes of golden yellow flowers are borne from the centre of the rosettes from early to late spring, after which the branch will usually die off. Leggy branches do have a tendency to snap off under the weight of the rosettes, in which case you can simply repot the broken stem as they 'take' quite easily. 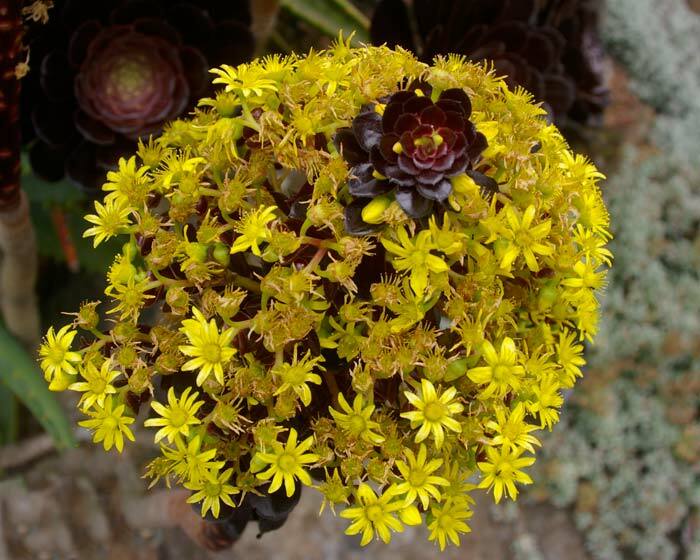 Most Aeonium will die after flowering but if it has produced side shoots it will survive. 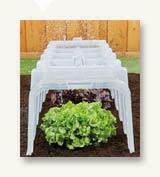 You can start new plants from the seed or propagate from broken off stems. Soil: If growing indoors use a standard potting mix. 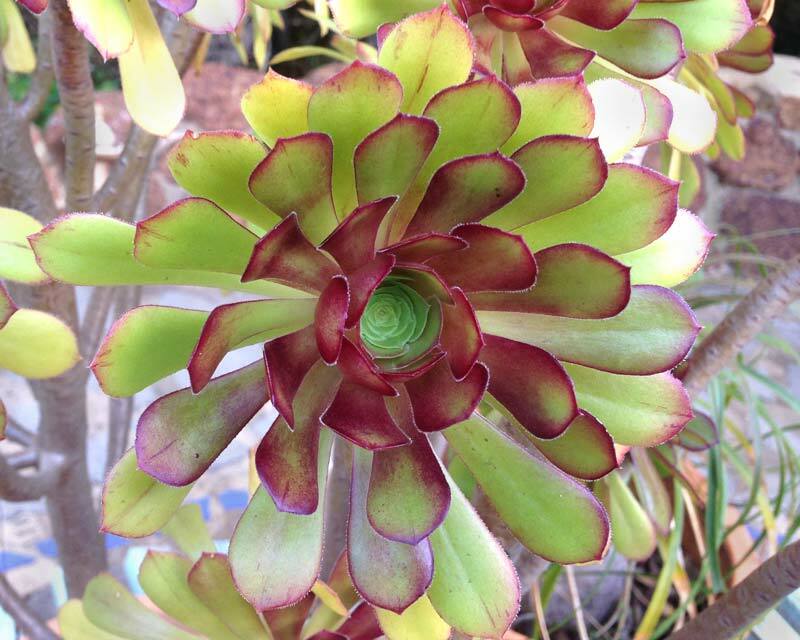 Outside, grow in a well-drained soil like a sandy loam with some added potting mix. 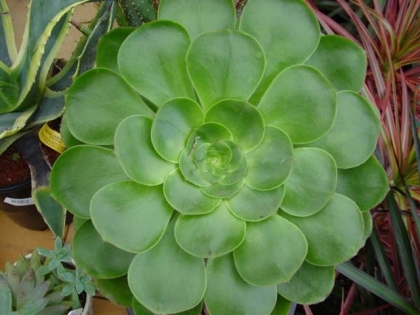 If you are growing them in pots or planters then you'll need to repot every couple of years years with fresh potting mix. Maintenance: Remove any spent growth. 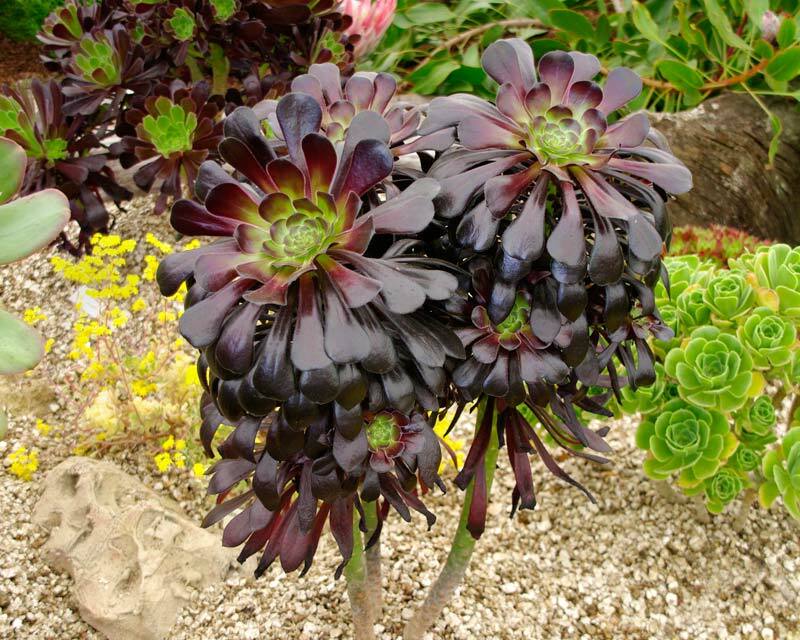 Aeonium don't like hot or dry conditions much and often go dormant in summer when they won't require watering. 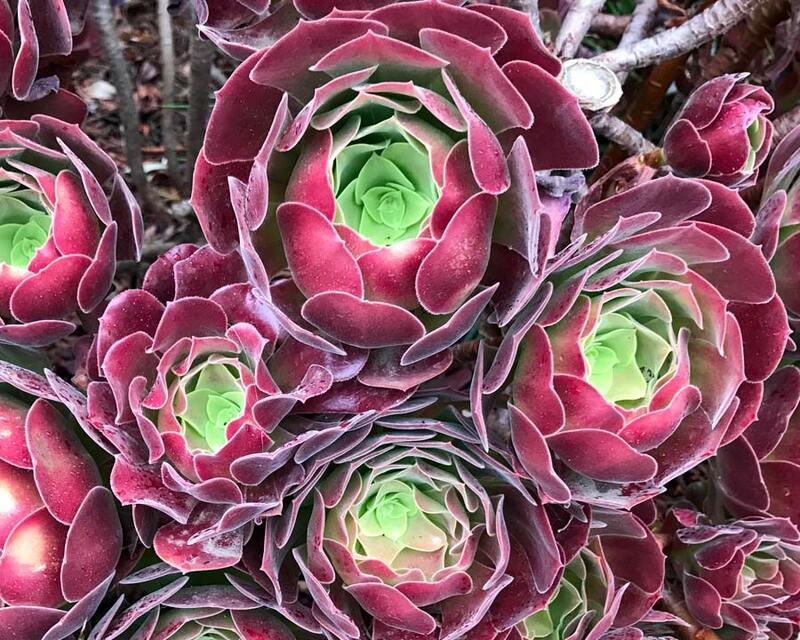 In extreme heat, their leaves will curl, to prevent excessive water loss, so move them to a shady and cooler spot if possible, moist shade is best. 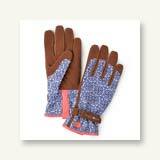 Their prime season is winter through to spring when they will require water whenever the soil dries out. But beware that too much moisture will cause root rot. Feed every month or so during the growing season with a half strength balanced fertiliser, but do not feed while dormant. 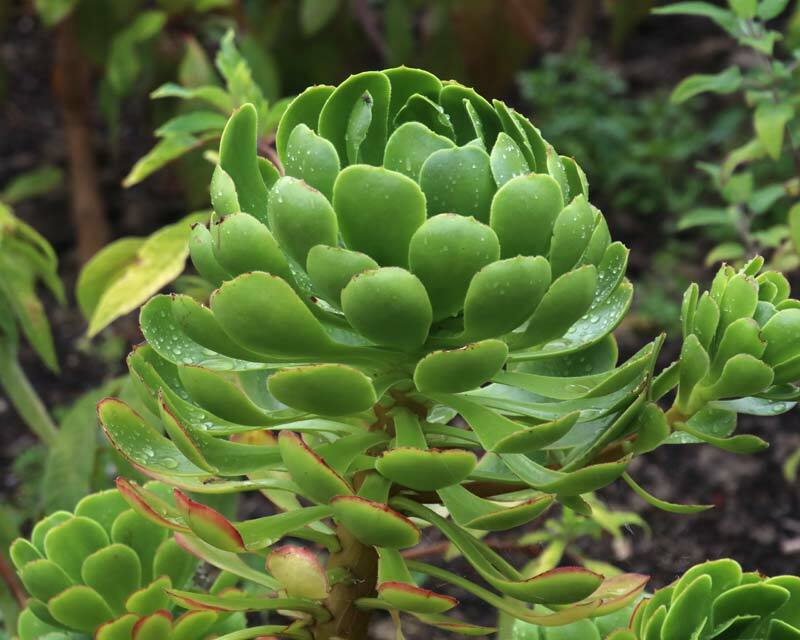 Diseases: Aphids, mealybugs, scale insects and thrips can be a problem, but these plants tend to be very self sufficient if kept healthy. 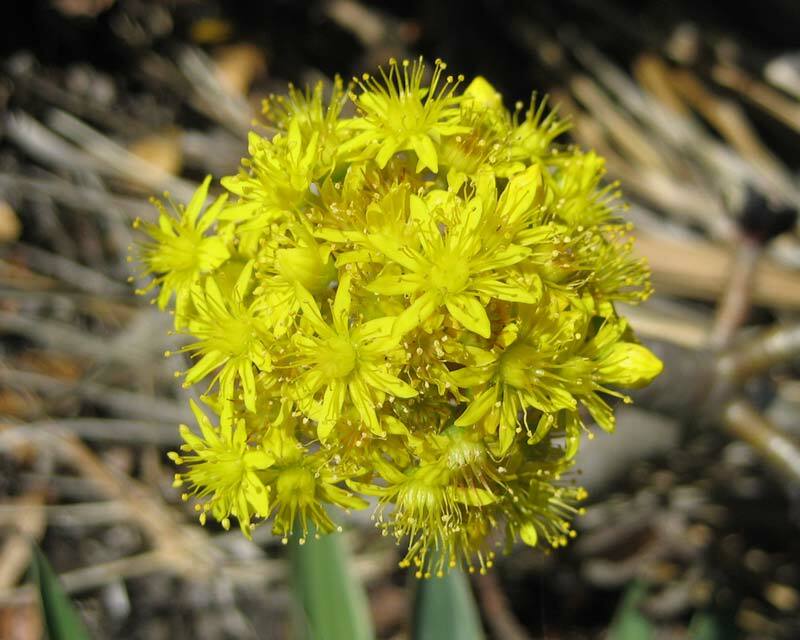 Other Species: 30 species in this genus - different varieties are available with varying leaf colours and shapes. 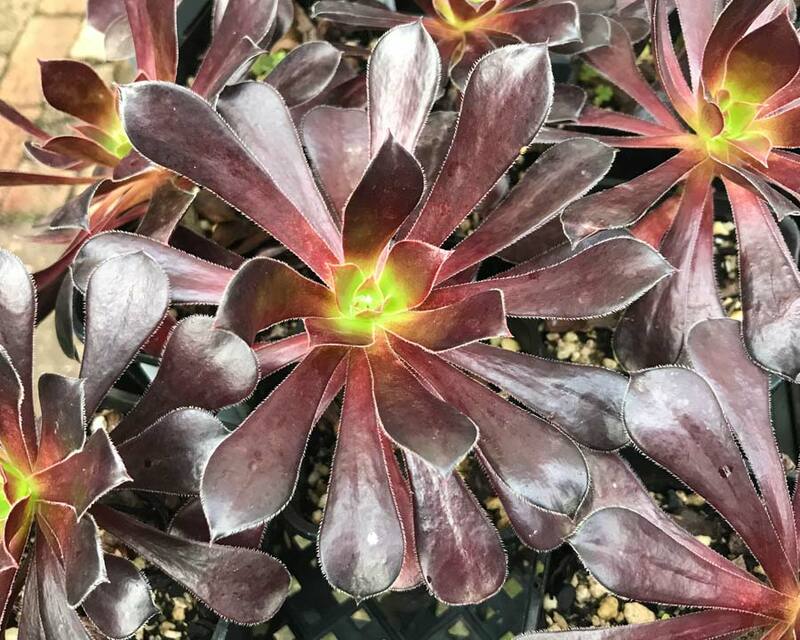 Aeonium autopurpureum and Aeonium arboreum zwartkopf are popular for their purple colouring. 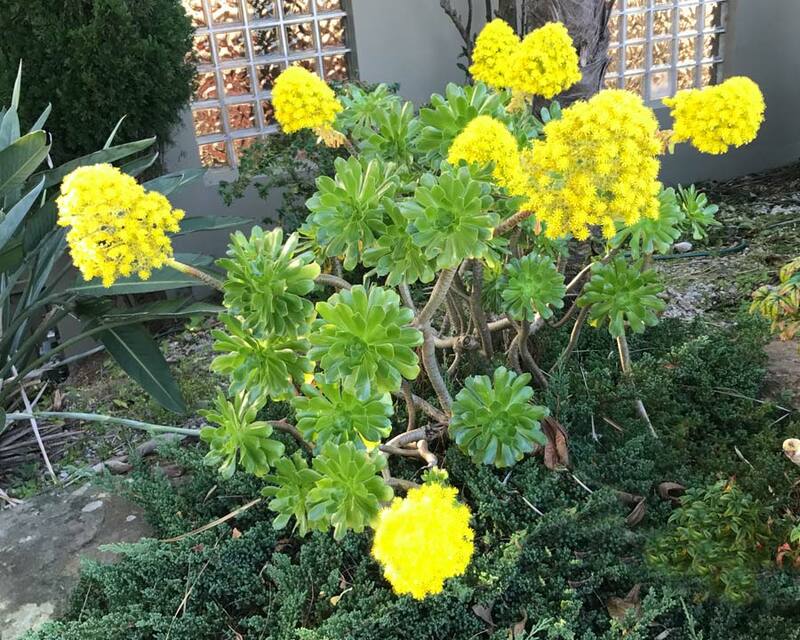 Sue - Maida Vale, WA: These Aeonium are so easy to grow and even easier to propagate. 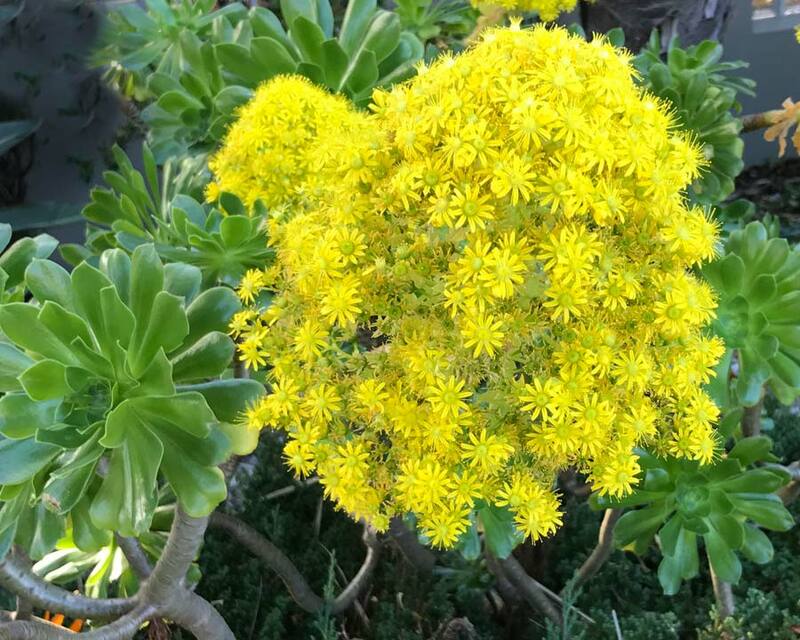 Stems do break off on their own sometimes, or i'll cut one off and just pop it in a pot and it grows roots quite quickly (do it in the growing season though)..
Aeonium arboreum, at its best when blooming.